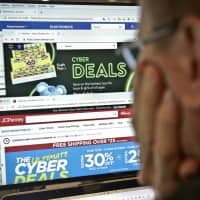 BANGALORE, INDIA/NEW YORK - Cyber Monday was on track to bring in a record $7.8 billion in U.S. online sales but will also test the limits of retailers’ e-commerce operations as millions of shoppers scour for steep discounts on everything from Lego sets to big-screen TVs. Target Corp. and Amazon.com Inc. are pulling out all the stops to get customers’ attention by offering deliveries with no minimum order limits and bombarding shoppers with a slew of promotional emails. The much-hyped marketing event is expected to bring in more than $3 billion in online, e-commerce sales volume, above the $2.4 billion logged last year, according to Mastercard SpendingPulse that measures total U.S. retail sales across all payment types. But some of the promotional efforts ahead of the day drew the ire of several people who complained that they woke up to a deluge of Cyber Monday emails compared to years past. 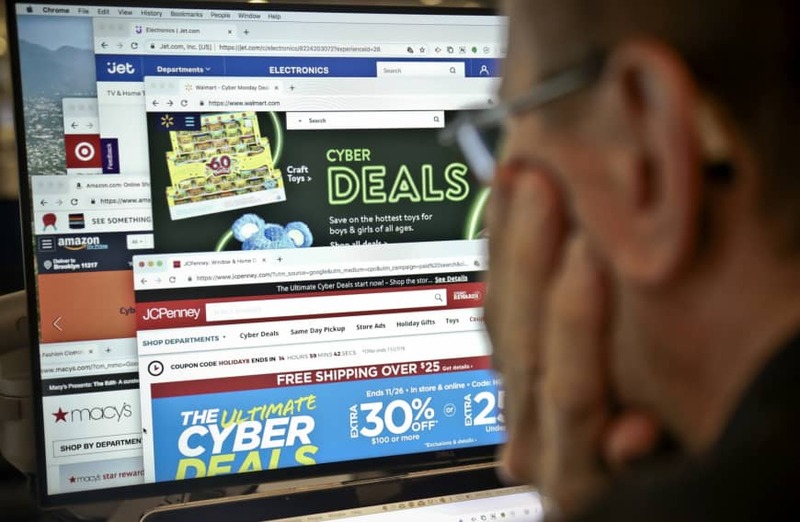 Retailers had logged $531 million in online sales at the latest tally as of 10 a.m. Eastern Standard Time, according to Adobe Analytics, which tracks transactions at most of the top U.S. online retailers. “First #CyberMonday I have participated in and I AM HERE FOR IT! I love a deal,” tweeted user @Kathryn_nicole1 from Kansas. Drawing an estimated 75 million shoppers, the day also tests the resilience of retailers’ online platforms as well as their delivery operations. If not backed with the right IT infrastructure, the heavy traffic will lead to headaches such as outages and other technical glitches. On Black Friday, some websites including apparel retailer J.Crew and home improvement chain Lowe’s Cos Inc., suffered temporary outages. As of 12:30 p.m. Monday, no big U.S. chain had seen any technical difficulties, according to Website outage tracker DownDetector.com. More consumers have shown an increasing preference for buying holiday gifts online, diluting the importance of Black Friday when shoppers had traditionally flocked to stores for the best deals. “I find Cyber Monday to be more convenient than Black Friday,” said Jeissy Casilla, 23, a retail worker in Puerto Rico, adding that it allowed her to browse multiple stores and offers at the same time and avoid big store lines. Toys are expected to have the biggest discounts, Adobe Analytics said, as retailers fill the void left by the bankruptcy of top U.S. toy retailer Toys R Us. Other deals included a $198 wool cashmere cardigan being offered for $107 at Ralph Lauren Corp., sweaters at American Eagle Outfitters Inc. were selling at half price and Victoria’s Secret was selling all bras, excluding PINK, at a 50 percent discount. Shares of Amazon were up as much as 3.2 percent in midday trade. Macy’s, Kohl’s and Target also rose. Social media conversation tracker Brandwatch said out of 13,000 social media mentions of Cyber Monday (#Cybermonday) the Apple Watch and the “Red Dead Redemption 2” video game were two products that were highly discussed.